Fixes To Resolve Access Error “You Don’t Have Exclusive Access To The Database At This Time”.....! 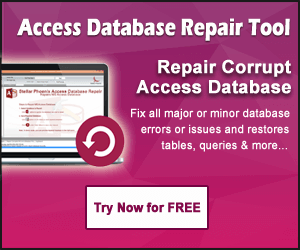 Fixes To Resolve Access Error “You Don’t Have Exclusive Access To The Database At This Time”…..! Looking for some best solutions to fix this “You Don’t Have Exclusive Access to the Database at This Time” error in your Access 2016/2013 application? If yes then don’t go anywhere as this post will provide you the best recommended option available to fix this issue. Along with that you will also get an easy idea on what makes this error to generate. So, let’s start with practical scenario first….! We have been using an Access dB for MRP that was built 15 or more years ago. I rebuilt the database to optimize/update macros, reports, etc. It works great. Typically, we will have up to 5 users in the database throughout the day. With the old database, the only time you would receive a message about exclusive access would be if you were trying to change a report, query, table or macro. With the new database, anytime a second user opens the database, the message “you do not have exclusive access to the database at this time. If you proceed to make changes, you may not be able to save them later.” This is not a show stopper, but an aggravation I would like to resolve. This error mainly encountered while numerous users share a single Microsoft access database and at the same time you tries to open a specific form or report objects. In such cases you will receive the following error message. This particular error message is indicated with the error code -29064. You do not have exclusive access to the database at this time. Well before approaching for the solution it’s better to know the causes of this Exclusive Access of the MS Access Database denied error first. So that, you can correctly works on those causes to get rid of this error. Here is the following combination of settings and condition triggers an object update. If multiple users opens the same database file. Chances are also that Compact On Close database setting is selected. In Database settings like Track name AutoCorrect info and Perform name AutoCorrect database are been selected. The report or form object you try to open must have contained an embedded macro within control or form event. In this situation, access tries to saves the changes that has done but can’t gain exclusive Access to the object. Try the split database approach so that each user has a local copy of the front-end database. For more information, see Split an Access database. Go to the File-> Options -> Current Database –> Application Options and clear the Compact On Close check box. Go to the File ->Options -> Current Database -> Name AutoCorrect Options, clears the Perform Name AutoCorrect check box. Try to remove the embedded macros from the form or report and replace it with either named macros or VBA event procedures. How To Open Access Database In Exclusive Mode? 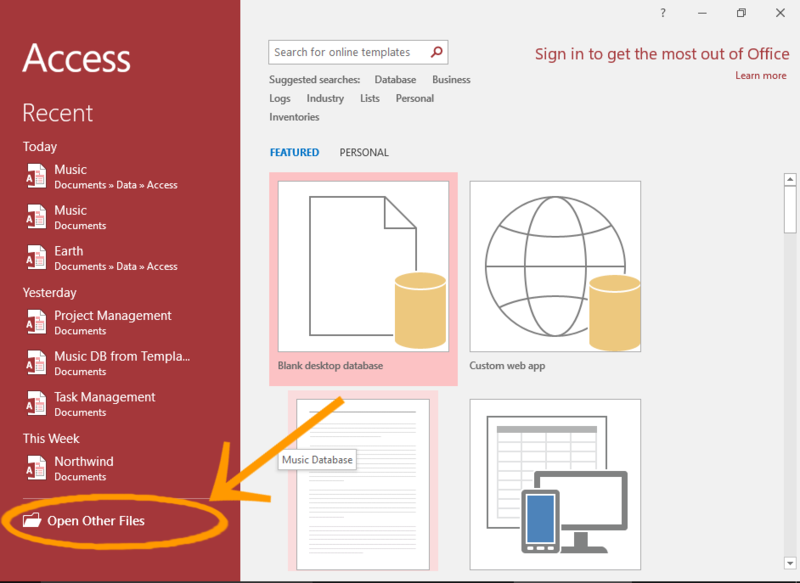 Know the complete easy steps to open a Database in Exclusive Mode in Access 2016. Sometime you need to open the database in exclusive mode when you want nobody else can use it at the time you are accessing it. For such cases you can apply password to protect a database which is open in exclusive mode. Well to open the Access Database exclusively first of all you need to open Exclusive option when opening the database. 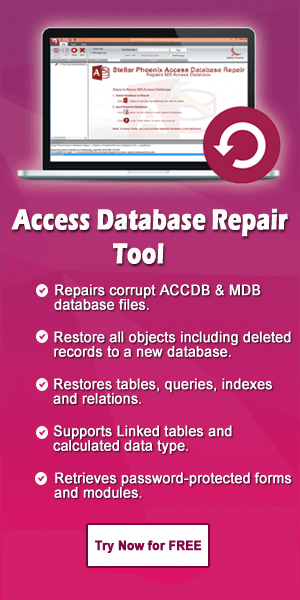 After then try the complete steps to open the Access Database exclusively. 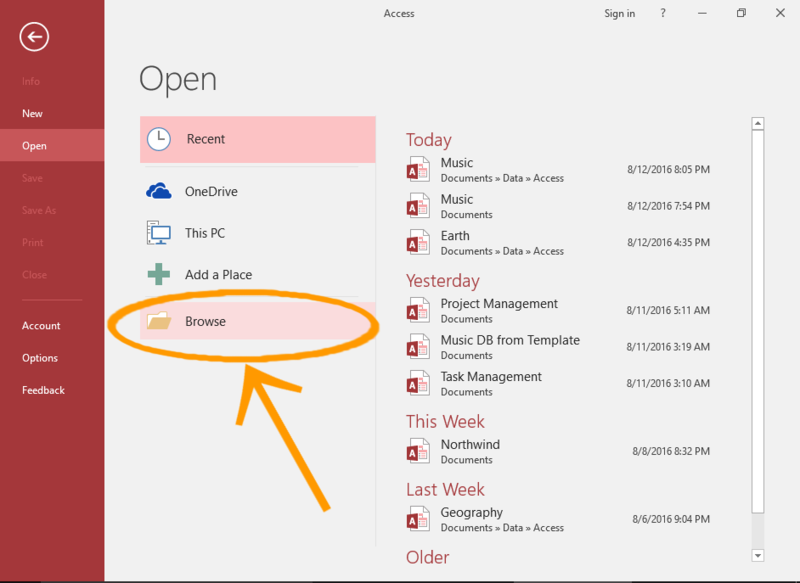 Open Access Application and click open other files in the left menu. Or If your access file is already open then select File > Open at this step. Now tap to the Browse This will open the dialog box, so that you can browse to the database file in the file system. 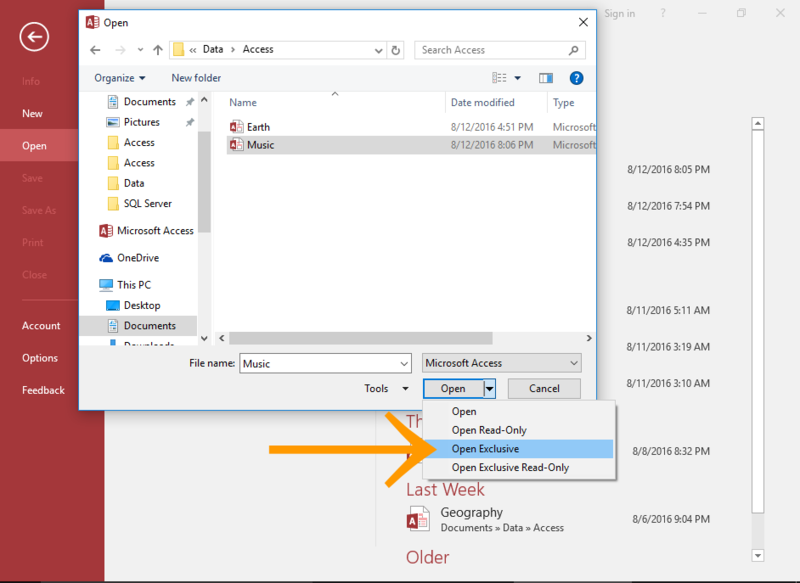 After navigating for the file, just select it down and click the down arrow on the open button to display list of options. At last make selection for the Open Exclusive This will open the database in exclusive mode. Now you must have got an easy idea on how to fix up this issue. So, now you don’t need to tolerate this error anymore as nothing can obstacle you from Exclusive Accessing your Access database.